The Arm Curl from Technogym’s Element line is fitted with handles that pivot automatically to accommodate varying forearm lengths. The independent arms allow exercises to be performed with either both arms together or with alternating arms, resulting in a balanced strength improvement. Biomotion is amazing and replicates the natural movement of the body through the selected range of motion – the resistance remains steady and delivers to the user the benefits and enjoyment of exceptionally fluid movements. Physiocam is an included program which allows variable resistance to be delivered to accommodate the specific strength curve of the targeted muscle group. As such, users conveniently perceive consistent resistance throughout their workout. 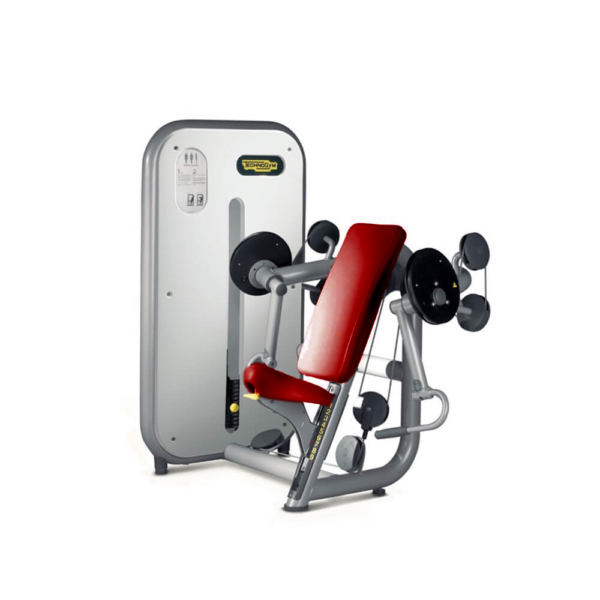 The Arm Curl features an ergonomic seat and backrest to help the user maintain the correct position during the workout. This feature assists in supporting the user’s spinal column. Handles pivot to automatically accommodate varying forearm lengths. Eliminating the elbow pads allows natural movement around the elbow and prevents overstretching the elbow. The independent arms allow the exercise to be performed with either both arms together or with alternating arms and results in a more balanced strength improvement. Arm Curl for sale, feel free to enquire above.